Susan Saab Fortney joins the Hofstra Law faculty and will be named the Howard Lichtenstein Distinguished Professor of Legal Ethics and head of the Institute for the Study of Legal Ethics. She succeeds Roy D. Simon, Jr., who has served as the Lichtenstein Professor since 2003. Fortney served as interim dean since 2010 and Paul Whitfield Horn University Professor since 2008 at the Texas Tech University School of Law. Additionally, Courtney L. Selby was recently named associate dean for information services, director of the law library and assistant professor of law. 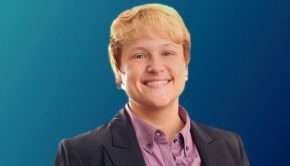 Selby joined Hofstra Law earlier this summer and previously served as the collection development and instructional services law librarian at the University of Tulsa College of Law, where she also was a member of the legal research teaching team.